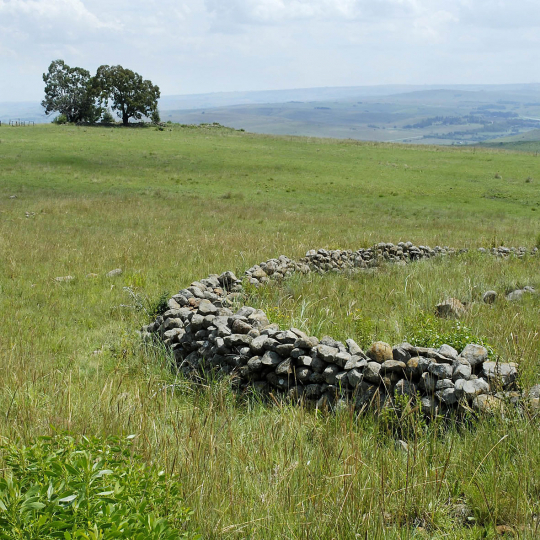 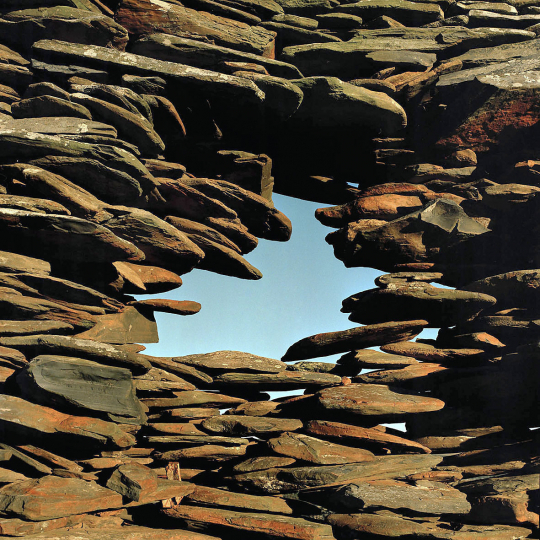 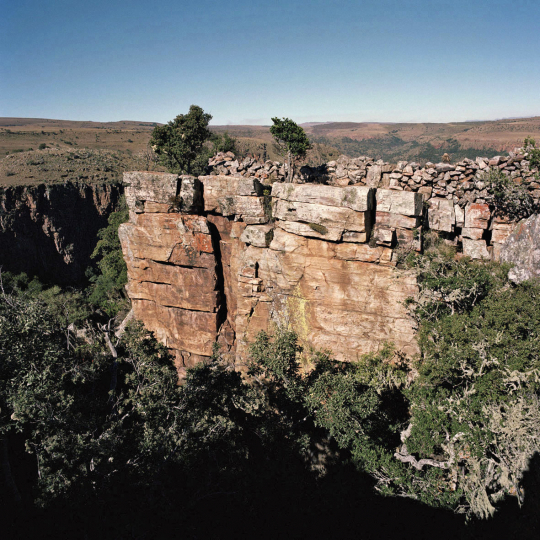 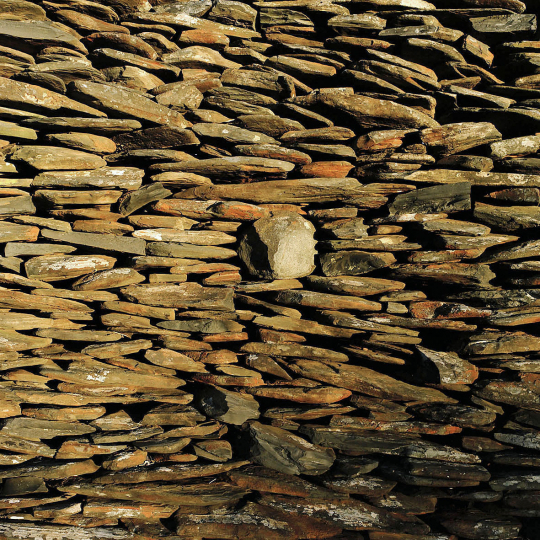 Stone wall structures are found in large numbers in Mpumalanga Province in north-eastern South Africa. 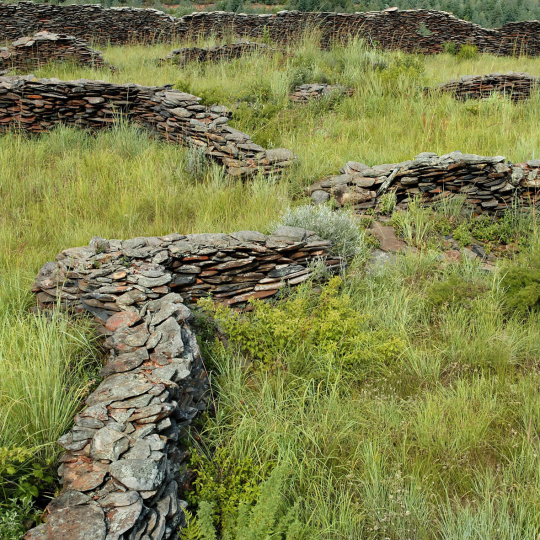 They were built, at least 500 years ago by the Pedi people and other tribes that inhabited the area. 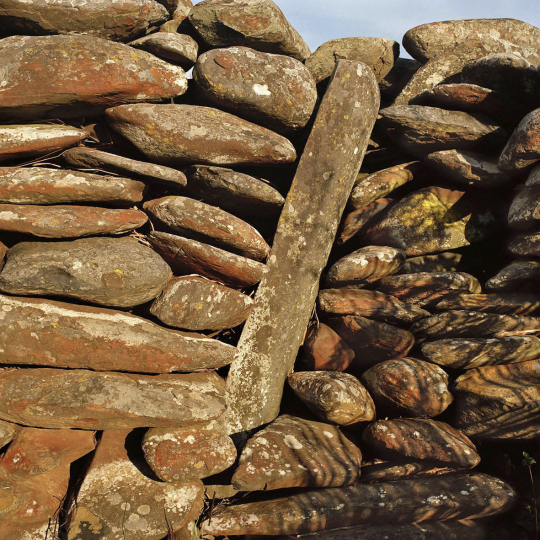 It is estimated that as many as 40 000 people lived here during the 18th century. 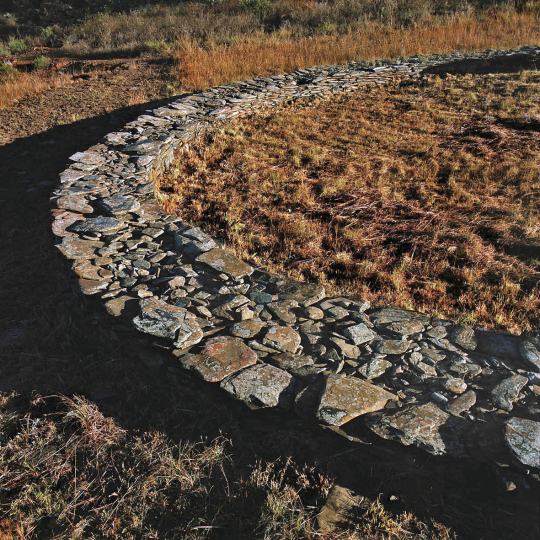 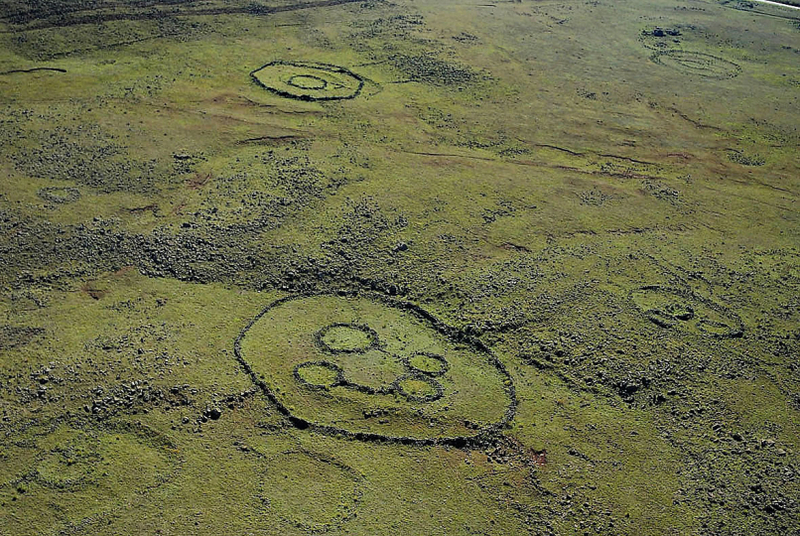 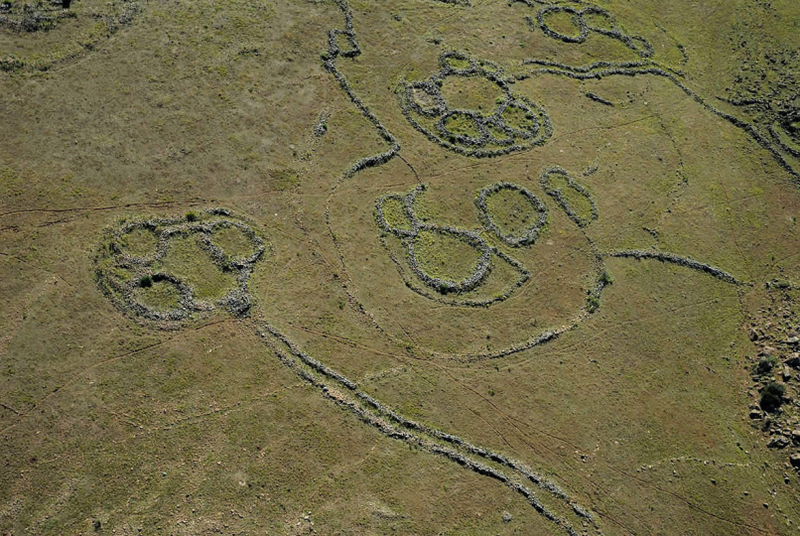 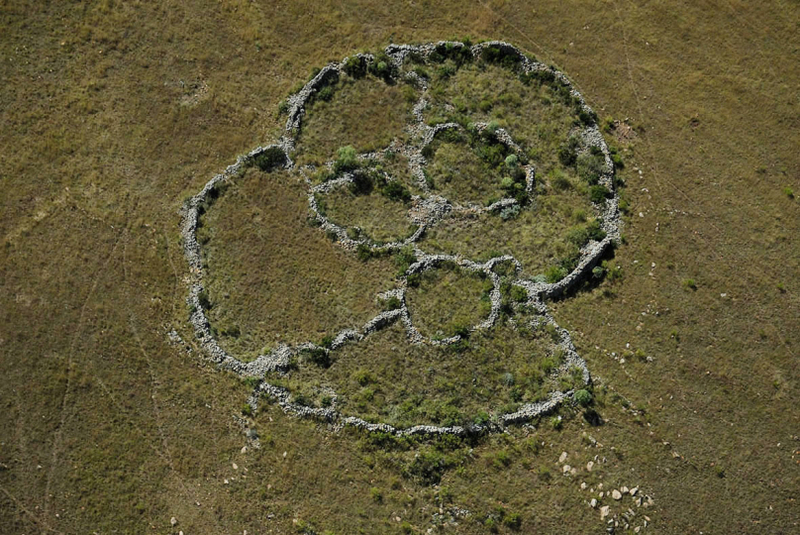 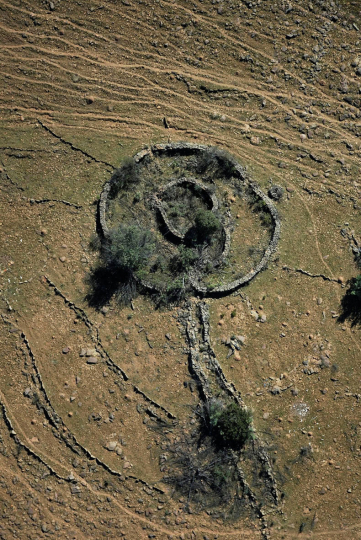 The structures, when viewed from above, display the remains of a culture that built complex communities with interconnected roads, homesteads and cattle kraals. 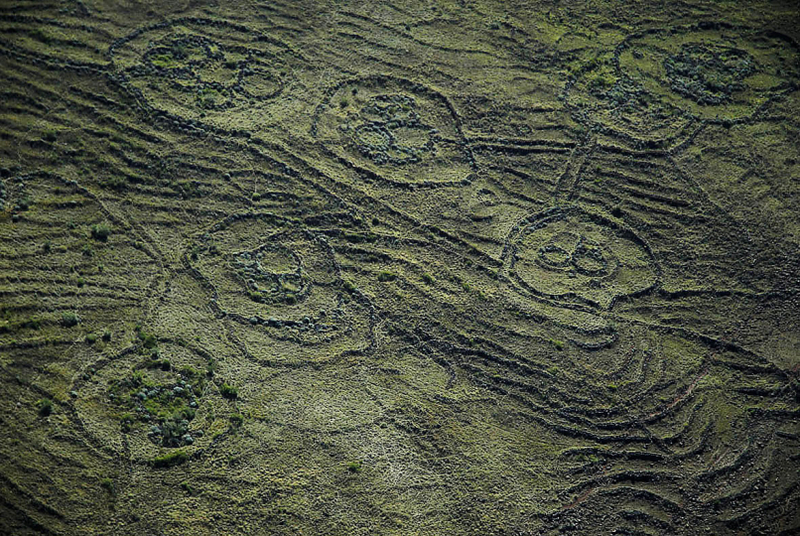 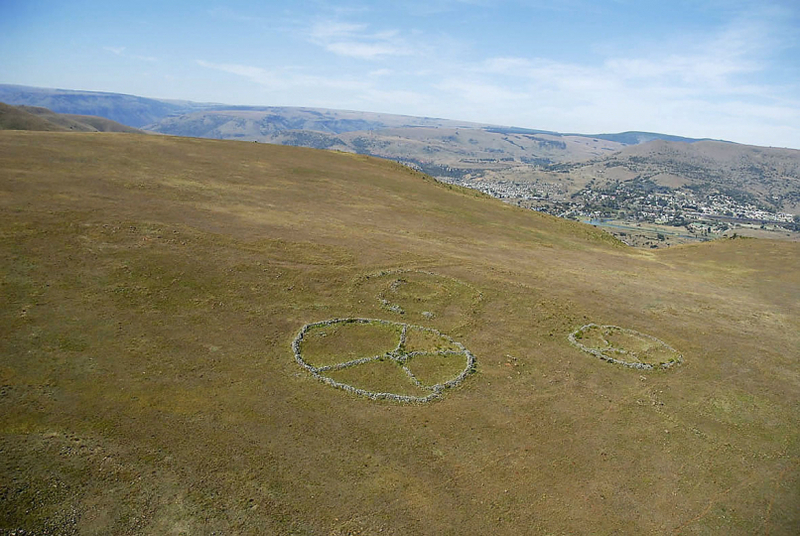 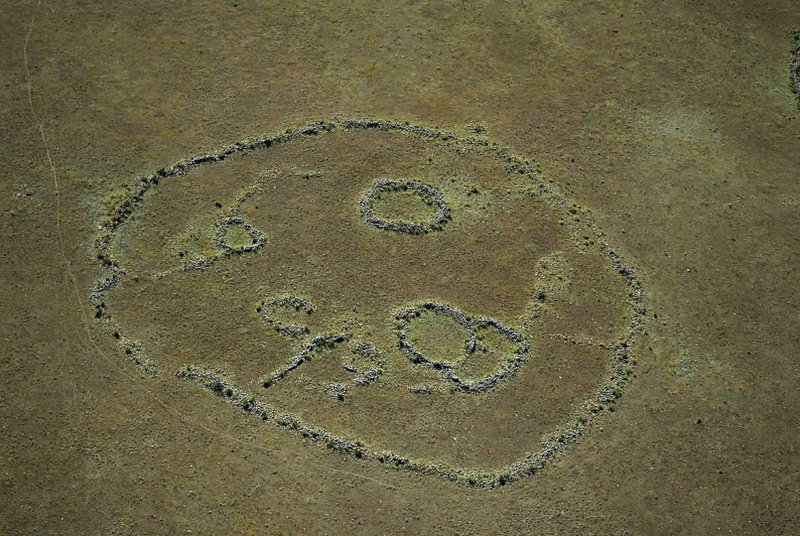 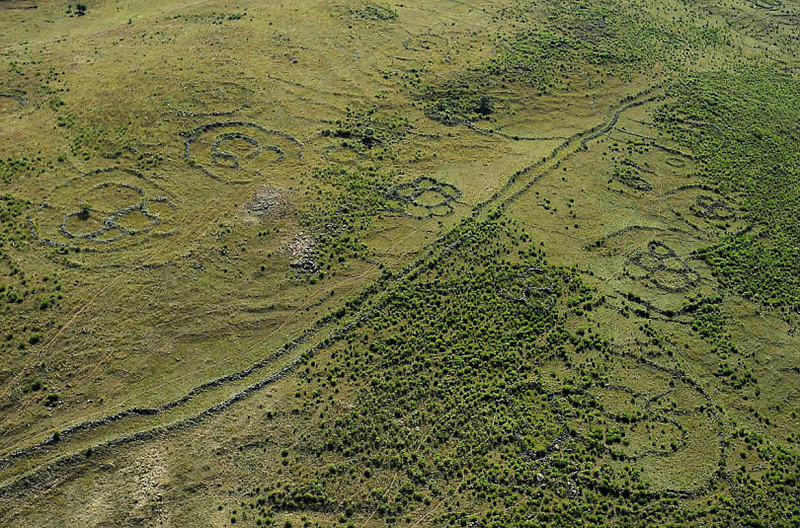 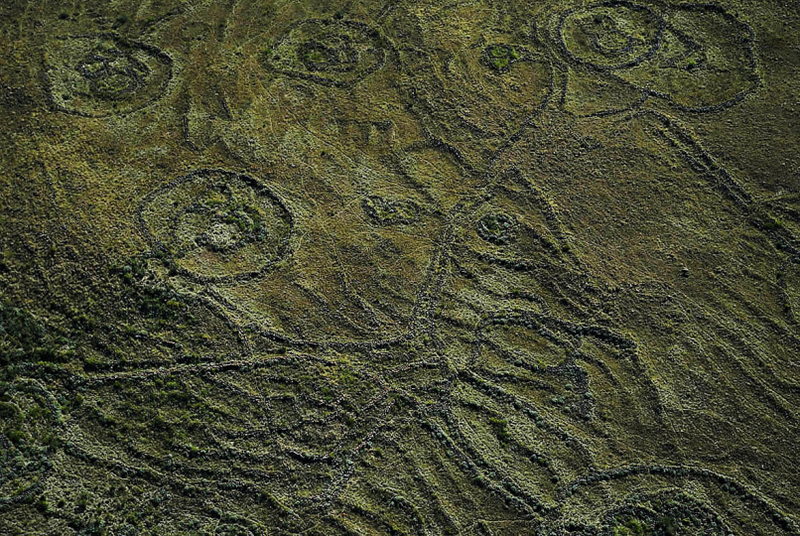 The remaining walls form symmetrical patterns when observed from the air. 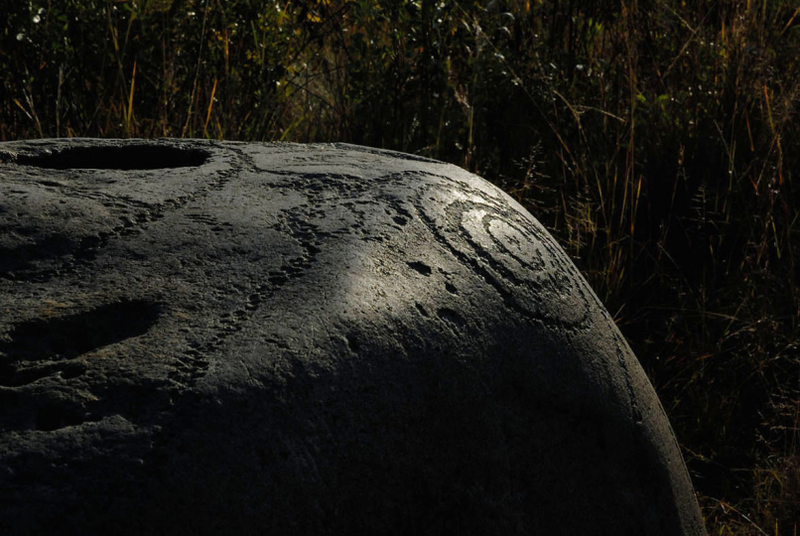 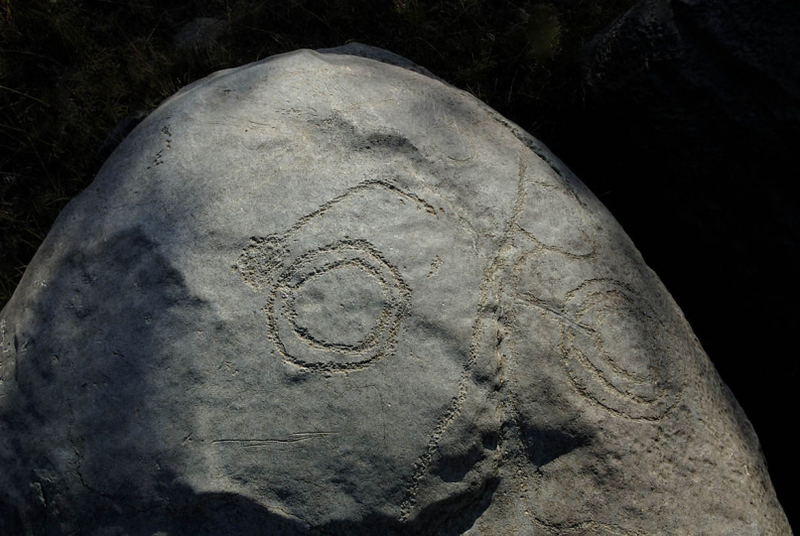 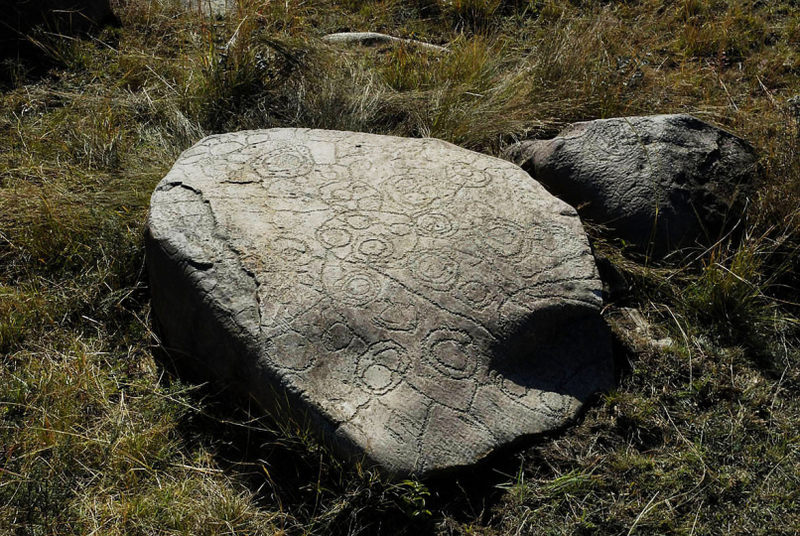 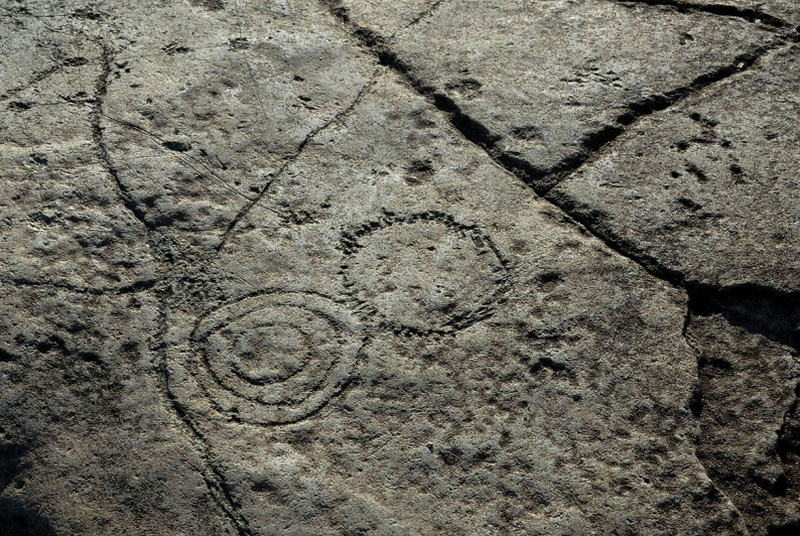 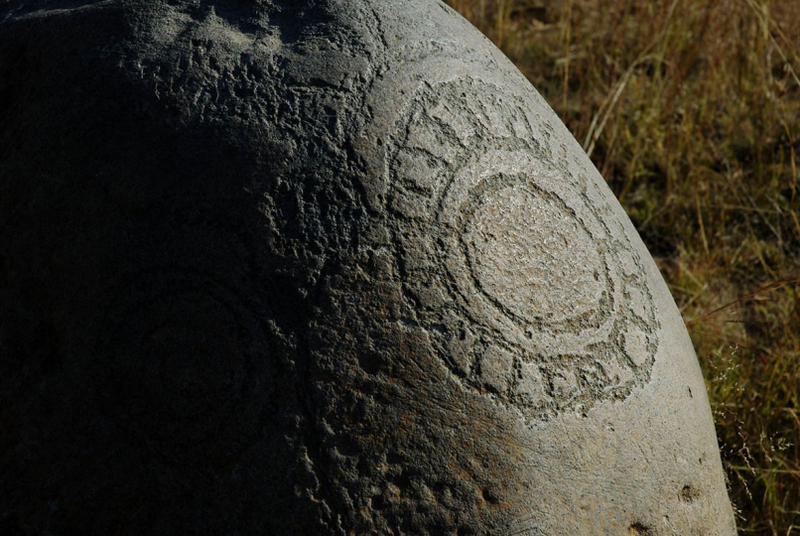 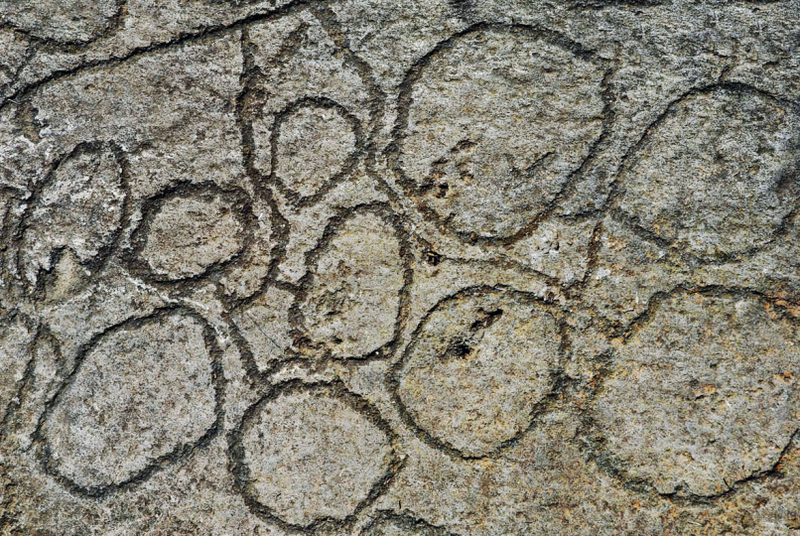 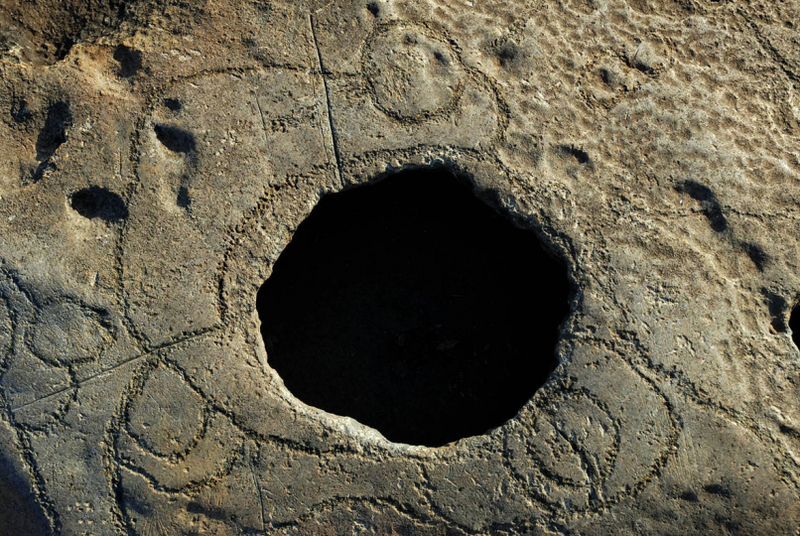 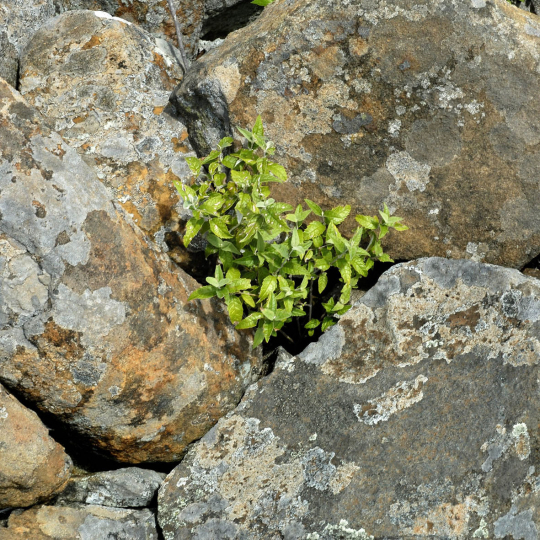 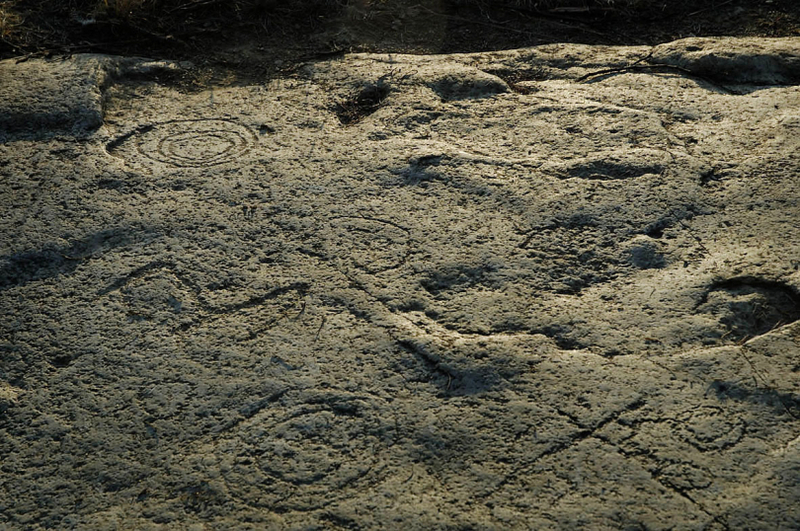 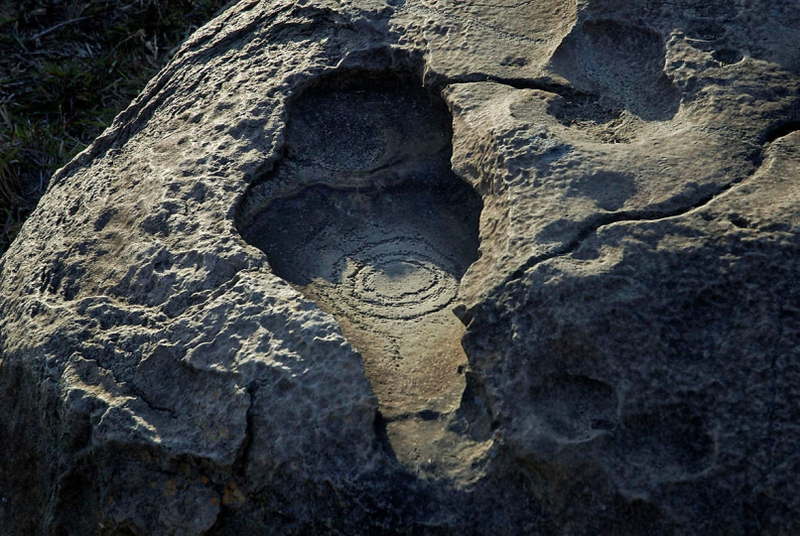 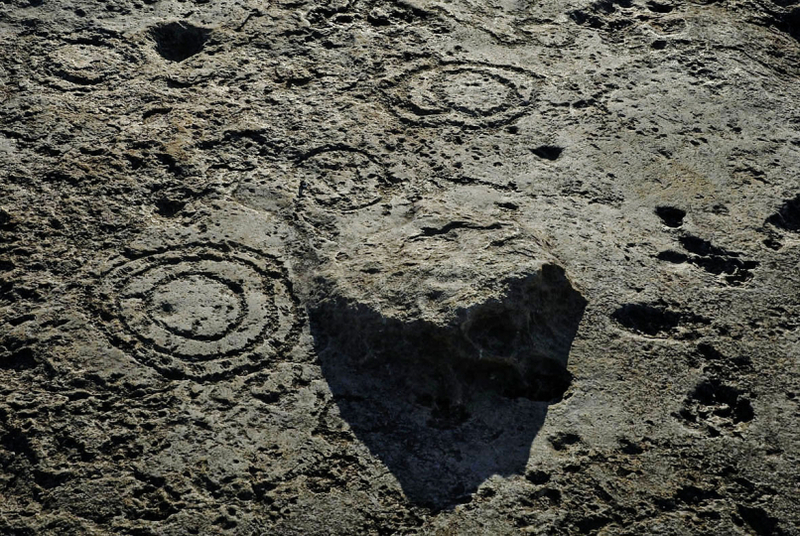 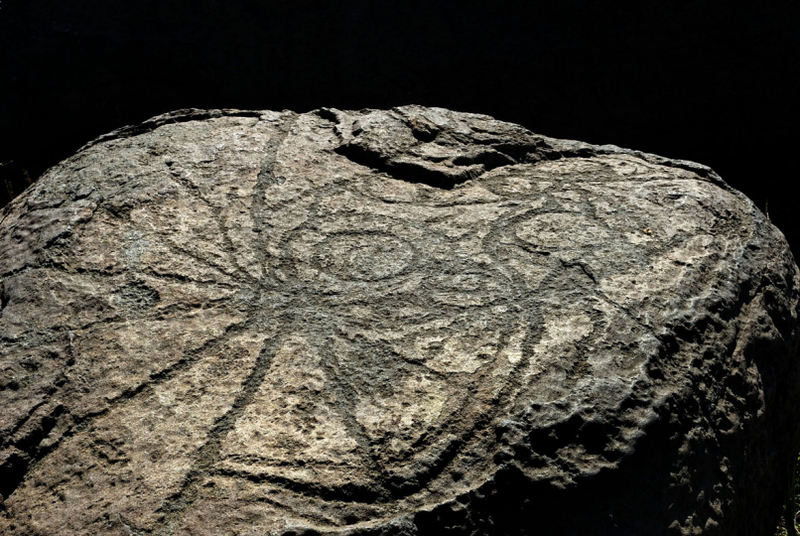 A large number of the patterns have been replicated in the form of engravings on rocks found at Boomplaats, outside Lydenburg.